The BBSW is the primary interest rate benchmark used in Australian financial markets, administered by the Australian Financial Markets Association (AFMA). On 27 September 2013, AFMA changed the method by which the BBSW is calculated. The conduct that the proceedings relate to occurred before the change in methodology, ASIC noted. The announcement follows similar court action against ANZ and Westpac over alleged manipulation of the BBSW. 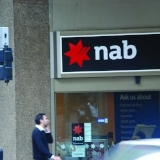 An ASIC statement said it is alleged that NAB traded in a manner that was “unconscionable” and intended to create an artificial price for bank bills on 50 occasions during the period of 8 June 2010 and 24 December 2012. ASIC alleges that on these days NAB had a “large number of products” which were priced or valued off BBSW and that it traded in the bank bill market with the intention of moving the BBSW higher or lower. Further, ASIC also alleges that NAB was seeking to maximise its profit or minimise its loss to the detriment of those holding opposite positions to NAB's. ASIC stated it is seeking declarations that NAB contravened s12CA, s12CB, the former s12CC, s12DA, s12DB and s12DF of the Australian Securities and Investments Commission Act 2001 (Cth) (ASIC Act), s912A(1), s1041A and s1041H of the Corporations Act 2001 (Cth) (Corporations Act). In addition, ASIC has sought from the court pecuniary penalties against NAB and an order requiring NAB to implement a compliance program.